I'm thankful to have had a day off to do NOTHING. And to cook my own meal. Meat-free. I made some bucatini. 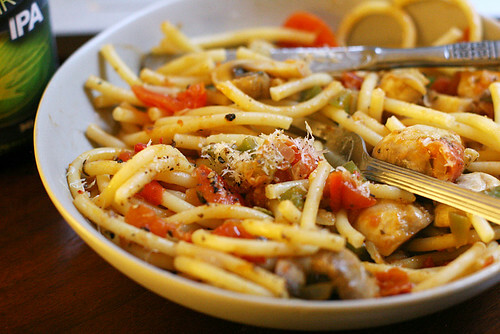 With sundried tomato pesto and vermouth and onions, peppers, tomatoes and mushrooms. 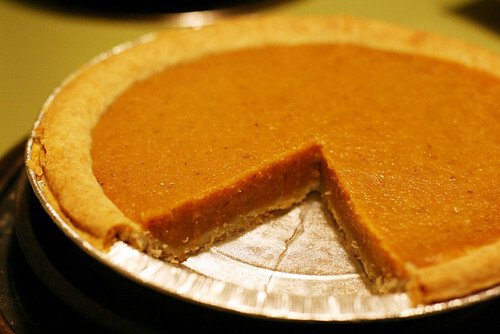 I'm also thankful for this pumpkin pie from No Frills. Not quite like my mom makes. But pumpkin pie nonetheless.